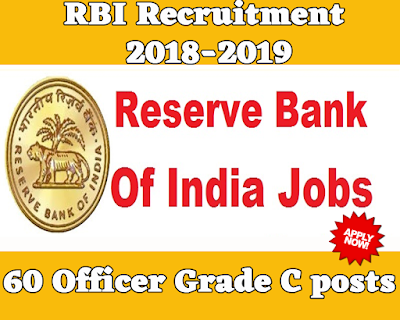 Reserve Bank of India has published an official notification for recruitment of 60 Officer Grade C posts. 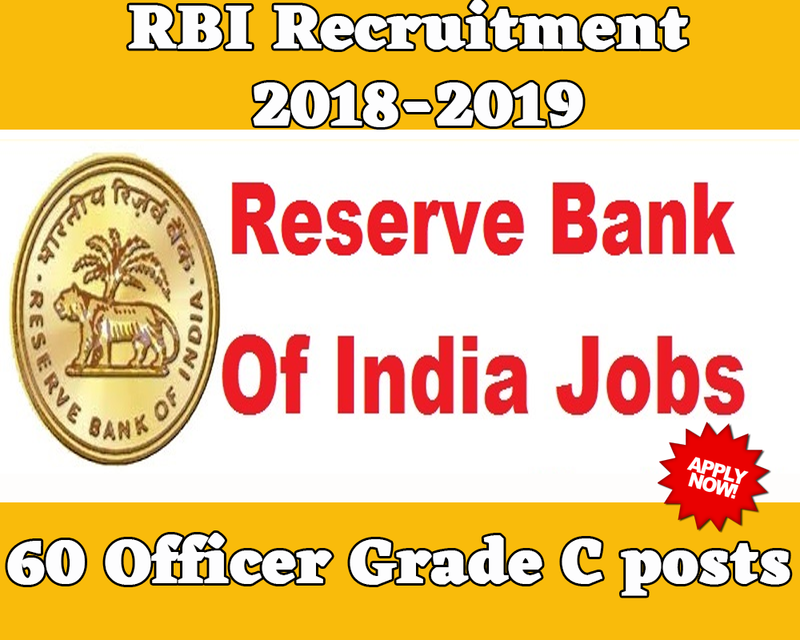 Interested and Eligible candidates who wants to apply for these posts submit their applications on official website of Reserve Bank of India on or before 08 January 2019. For more details like age limit, salary, how to apply, selection process please refer the below article. The minimum age limit for this post is 25 years & maximum age limit for this post is 35 years. Candidates are required to apply only ONLINE through the Banks website given below. No other mode for submission of application is available. Selection for the aforementioned posts will be through preliminary screening/shortlisting followed by interview. RBI Services Board reserves the right to limit the no. of candidates called for interview by enhancing the minimum educational qualifications requirement as indicated above or through any other appropriate method. Candidates shortlisted for interview will be issued interview call letter through email and their candidature will be subject to submission and verification of documents submitted in support of their claim with regard to eligibility for age, category, qualification, experience, etc.